Backhoes play critical roles in many construction projects — from loading and material handling to earthmoving, grading and more. A machine's ability to take on these tasks starts from the ground up. The right set of tires will directly impact traction, stability and other factors that are critical to how and where your team can work. McLaren Industries manufactures a full lineup of solid rubber backhoe tires. We engineer our products to work with equipment by all leading manufacturers and deliver superior performance in even the most demanding environments. Keep reading to learn more about the advantages of choosing a McLaren backhoe tire replacement and find out about the various product lines that we offer. 100% N0 Flats. Lower cost-per-hour than regular pneumatic or foam-filled tires. Industry-leading puncture resistance: Our solid cushion tires have layers of side wall holes. This feature is designed for backhoes. 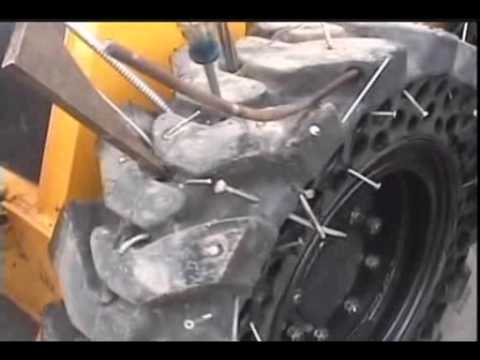 McLaren solid rubber backhoe tires eliminate the need for additional protection as you can run over nails, metal, glass, and even run when chunks of your tire are completely missing. 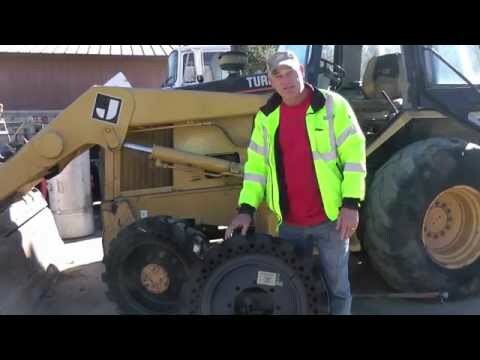 Our tires are heavy and give you the stabilizing weight you need. Reduce the risk of unanticipated downtime, extend the life of your tires and stay productive for longer by choosing one of our Nu-Air® products. Improved comfort: This characteristic is possible thanks to our Semi-Pneumatic Technology™. Our backhoe tires feature three layers of proprietary rubber compounds and strategically placed cushioning holes to absorb shocks. The result is a smoother ride and improved operator comfort, even on a long shift. Improved traction: Traction has been improved with the exclusive Nu-Air Dirt Terrain (DT™) line. DT series tires excel in off-road environments and feature deep lug treads for enhanced grip and higher overall stability. Our products are suitable for use in a wide range of terrains, from loose sand and rocks to deep mud. Nu-Air Dirt Terrain (DT) tires: The Nu-Air DT series is one of our most versatile products — ideal for use in off-road applications such as heavy construction, quarry and aggregate, mining and more. Available sizes range from 10-16.5 (30x10-16) to 17.5-25 (53x17.5-25). Nu-Air All Terrain (AT™) tires: Nu-Air AT tires have a unique tread pattern that delivers heavy-duty performance in on-road applications, particularly on abrasive surfaces such as concrete, asphalt and cement. AT tires feature a wide footprint design for increased ground pressure and longer service life. Sizing ranges from 10-16.5 (30x10-16) to 17.5-25 (53x17.5-25). Nu-Air (RT™) tire: We've specially engineered the Nu-Air RT series for rocky terrain. It features the same wide footprint design as the AT lineup, but with a unique tread pattern for increased durability when working in scrap yards, demolition sites and other demanding environments. Typically reserved for larger machines, we offer this product in 14-24 (53x14-24) sizing only. Nu-Air (SS™) tire: The SS series is our economy line of solid rubber backhoe tires. It's a practical, cost-effective choice that offers maximum surface contact when working primarily in flat asphalt or concrete environments. Sizes range from 14-24 (53x14-24) to 17.5-25 (53x17.5-25). For more information about our complete lineup of replacement backhoe tires, or for help choosing the best product for your application, contact a McLaren Industries representative online or call as at (800) 836-0040. Backhoes are mainly used in off-road applications which require tires that provides both stability and traction. The deep tread ensures better grip on sand, rocks or deep mud. Even when installed on the front only, the DT tires will increase your backhoe’s output on any job. Nu-Air DT tires are available for most backhoe makes and models including Case, Caterpillar, JCB, John Deere, New Holland and Volvo. 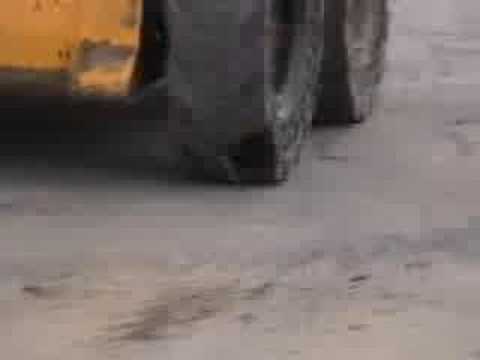 Backhoes are mainly used in off-road applications. If you use your backhoe mainly on hard surfaces, the AT tires will provide a smoother ride with significantly less wear than the DT tires. The unique AT tread pattern still provides great traction when working off-road. Even when installed on the front only, the AT tires will increase your backhoe’s output on any job. Nu-Air AT tires are available for most backhoe makes and models including Case, Caterpillar, JCB, John Deere, New Holland and Volvo. The McLaren RT tread pattern is best suited for Rocks, Scrap, and Debris. It is McLaren's solution for operations on rocky terrain. The pattern is well suited for larger machines, such as backhoes, telehandlers and wheel loaders, and performs well in the toughest environments, including scrap yards and demolition sites.